This archive holds all posts form October 2008. What would you tell PR students about social media? I’d like to test social media’s culture of generosity by asking for your help in giving young PR students a sense of the impact of social media on PR as a discipline and their prospective careers as PR practitioners. how aspiring PR practitioners should be incorporating social media into their career preparation. If you were talking to a class of PR students, what would you tell them about social media? How is social media affecting organizational and group communications? What are the technology trends that they should be watching? What will it mean for their careers? I plan to show the Humber class this post and the comments it receives as an illustration of the power of crowdsourcing. So, please give generously of your experience and advice. As the economy worsens, I continue to think about what Thornley Fallis and 76design can do to weather the recession. And as I do this, I look at what other companies are doing to cope with tough times. No industry has been hit harder and faster by the economic downturn than the travel and tourism industry. One company in the industry, Fairmont Hotels and Resorts, has reminded me of the ongoing importance of customer service. Customer service can set a company apart from competitors in an era when all competitors are only a click away. In this environment, products and many services become commodities. It’s the personal element that cannot be replicated and differentiates the great company from the pack. Much of today’s so called customer service is really driven by time management considerations. Not the time of the client, but the time of the call centre rep or the customer service representative. In this environment, an organization that creates a work environment in which it’s customer-facing personnel can actually relate on a human level with the person in front of them will stand out from their competitors. I originally started to stay at Fairmont Hotels because of the unique physical plant and location of their Canadian properties (think grand hotels from the golden age of rail travel.) However, what drew me back time and time again was the warmth and attentiveness of the employees. They actually seemed to enjoy their work, showed pride in the company they worked for and made me feel like a valued guest. That’s not something that is common to all hotel chains. Last week, Fairmont asked me to participate in a video interview for use in new internal staff training videos they are preparing. This is smart on the part of Fairmont. Not because I’m photogenic. (Brad Pitt I’m not.) It’s smart because I stay frequently at Fairmont Hotels and I have real stories to tell about my experience. And if Fairmont employees want to truly know the impact their decisions have on guests, how better to understand this than through the words and eyes of actual guests? In setting up this interview, Fairmont didn’t ask me to gild the lily. Not at all, they asked me to talk about not only my positive experiences, but also the ones that weren’t so positive. To be truthful, I really couldn’t think of any negative experiences. One time I could not get an Internet connection in my room. The hotel put me through to the telephone support (fairly standard procedure.) When that didn’t work, a technician came to my room. When that didn’t work, the desk staff assigned a new room to me, a bellman showed up at my door and I was transferred from my existing room to another (and the Internet was tested for me). Throughout this process, the Fairmont staff were patient and willingly helpful. And what makes this even more remarkable was that I later discovered the problem was with my computer, not the hotel’s Internet connection. I repeat: Throughout the troubleshooting process, the Fairmont staff were paitent and willingly helpful – even in the face of a technically challenged guest. I’ve experienced the same caring approach when I’ve travelled with my family (a time when a good experience is even more important than when I’m travelling on my own.) My children love to go to Toronto in the summer. One year, we were assigned a rambling suite that gave us room to stretch out in a comfortable sitting area and had a round dining table large enough for a family of five. The room was perfect. When I made my reservations for the following year, I couldn’t remember the room number. However, the reservation agent searched my stay history and identified the room we like and assigned it to us for our return stay. A small extra gesture. But small things leave big impressions. What’s the bottom line for me on why I think that Fairmont charaterizes great service? In every interaction with someone who works at the Fairmont, I feel like I’m dealing with another person who’s treating me as an individual. And I feel that I’m dealing with people who care enough to make it that way and an organization that has created a culture and organized their work in a way that supports this type of behaviour. Great service. I don’t expect it, but I have become accustomed to receiving it from Fairmont. 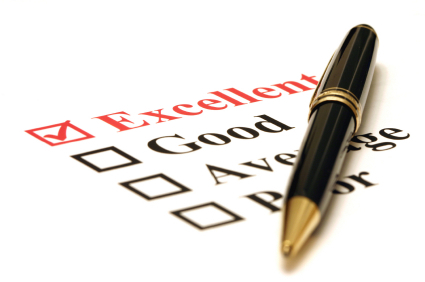 How do we achieve great customer service? Good service cannot be generated by the imposition of “cookie cutter uniformity.” Good service flows instead from consistency in the values that are shared by employees. It also comes from a culture that encourages service providers to focus on the people they are helping as individuals, not as units in a quota to be processed. If the quality of the interaction, not the quantity of transactions, is the objective then quality of service will be the outcome. Dealing with complaints is very important as well. I believe that most problems actually go unreported. 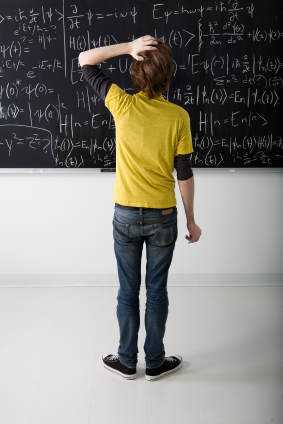 We all make a cost benefit analysis of the effort we will need to invest in order to get a response. The smart organization understands that The unsuccessful handling of a complaint makes me question whether I want to repeat my experience again. A complaint acknowledged and dealt with will outweigh the memory of the original complaint. I will return to an organization that has acknowledged my complaint and responded. As businesses of all kinds think about how to cope with the coming recession, it’s well worth looking at a company like Fairmont as a model. I bet they make it through the recession with relatively less damage than their competitors. I’d like to do the same for my business. 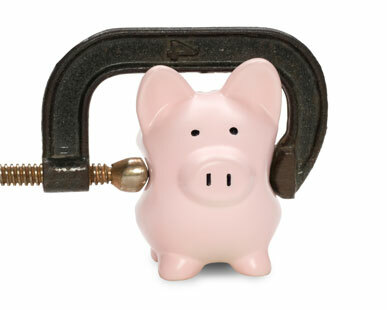 The economic downturn is being felt by businesses and their employees everywhere. Katie Paine points to a heart breaking post by an employee who has just been laid off by Cision. I feel for the laid off employee. And I also know that no employer – regardless of how hard we try to provide a caring, progressive work environment – is immune to anger and attacks from former employees. It’s to be expected that the people you lay off first are the disaffected and less effective. And in this era of social media, they can share their views – with little effort. Regardless of how hard I try to be kind in a termination situation, I understand that it is essentially a gesture of rejection. And it’s only natural that the person who has just been let go will search for justification. And in doing this, it’s only human to magnify all the shortcomings of the employer – real or imagined. And I think we are going to see a lot more of this in the future. A sign of the times. Yesterday morning, I noticed that the number of subscriptions for ProPR that FeedBurner is counting decreased by 400 between Sunday and Monday. I tweeted about this and several other people chimed in that they had experienced similar issues. Dave Fleet reported that he’d seen a similar loss of subscribers to DaveFleet.com. Martin Edic, the Marketing Director at social media measurement service Techrigy noted that changes to iGoogle had resulted in the loss of a number of his RSS feeds. Luke Armour and Ryan Coleman both saw a sharp drop off in the number of their subscriptions to their blogs, Observations of Public Relations and Found in Translation. And Jamie Oastler tweeted that one day last week, it had appeared that subscriptions to Idealien had dropped to zero before bouncing back to their usual level. Later in the afternoon, I tried to check my stats again to see whether they were still wonky. But all I was able to get was FeedBurner’s version of the FailWhale. Unreliable stats. Service disruptions. Google acquired FeedBurner more than a year ago. With all those dollars on the balance sheet, you’d think that Google would ensure that FeedBurner performs as well as Google’s core search service. 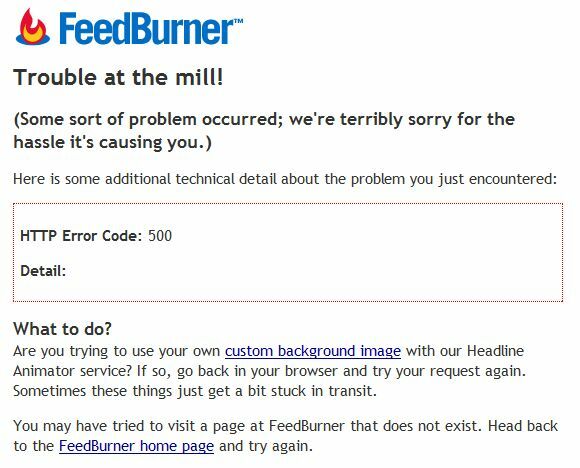 Do you know what is going on with FeedBurner? Why isn’t Google investing in making it more reliable? I’ve just received my 100th Dell computer. That’s 100 Dell computers that I’ve ordered for Thornley Fallis and 76design since 1997. And what a difference there is between the first computer I ordered and the most recent one. 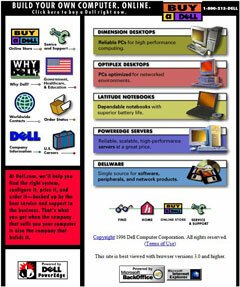 The first Dell that I ordered on April 1, 1997 was a Dimension XPS Pro 200n. It had a 200 MHz Pentium Pro processor, a 4.3GB hard drive, a 15″ CRT monitor and cost $5,525. I thought it was blazing fast. The most recent Dell I received is a Precision T5400 workstation. It’s powered by two 3GHz Xeon processors, has twin 750GB hard drives configured in RAID 0, a 30″ LCD monitor and cost $5,249. A lot more machine for the same money. 100 computers ordered from the same supplier over 11 years. Why have I been so loyal to Dell? Dell wasn’t the first computer I purchased when I set up Thornley Fallis. In fact, I bought another brand name notebook computer from my local CompuSmart computer superstore. And it was a nice machine – until it stopped working. That was the point at which I found myself lined up at the door of CompuSmart at opening time on a Friday morning in the hope that the repair department could fix my machine in time for me to deliver on an end of day commitment to a client. I sat in the service department for virtually the entire day until the tech told me that he was going off shift and I would have to return on Saturday. No computer. Disappointed client. Big lesson about the importance of service. So, I ordered my next computer from Dell. Not only was I able to configure the computer to meet my exact needs, but it also came with 24 hours 7 days a week telephone support. Support from trained support people who would stay on the phone with me until I fixed the problem. And if new hardware was required, next day onsite replacement. At 2AM in the morning, it really matters that someone will answer the phone and fix your problem. Dell be true to me. I’ll be true to Dell. But overall, the bumps have been exceptions in our relationship. Dell has delivered a good experience with machines that met my needs and support that keeps us running. And as long as Dell continues to deliver this, I’ll stick with Dell. I spoke last weekend at WordCamp Toronto. In fact, the organizers put me on the stage as the lead off speaker – directly before WordPress founder Matt Mullenweg. Now, that’s a humbling experience. With Matt Mullenweg following me, along with all the other fabulous WordPress developers who were speaking later, I felt I shouldn’t focus on the technology of WordPress. Instead, I decided to try to set the tone for the conference by talking about the development of the social Web and the central role that WordPress and other blogging platforms have come to play. Finally, I wanted the people in the room to recognize right from the start that the wisdom of WordCamp was not exclusively on the stage, but was distributed among the participants. So, after my opening remarks, I used half of my time to invite any participants who had developed WordPress plug-ins, themes and Websites based on WordPress to stand up and let people know what they’d done. In fact, I think that was the best part of my session. I was really impressed with the abundance of smart, creative work being done by the participants. Mark Wood captured and posted video of my presentation on Vimeo. WordCamp Toronto 2008 – Joeseph Thornley Keynote from Mark Wood on Vimeo. I’m used to Twittering and live blogging other speakers at conferences. But it’s rare that I get to see myself. So, thank you Mark. You’ve given me a chance to critique my own presentation. On the positive side, I feel I’m making real progress toward my goal of telling a story in an engaging fashion and using the slides only to illustrate what I’m saying (no more bullet points and reading from the screen.) On the not so positive side, I still have to work to reduce the Um’s and Ah’s when I’m speaking and to punctuate my presentation with a bit more animation in my voice. Oh, and I have to stop swaying back and forth and walk a little more purposefully across the stage. What do you think of this presentation? Do you agree with the content? Are there other points you think I should have made? Last month, while Brendan Hodgson, Kate Trgovac and I were in Calgary for a Canadian Institute Conference on Social Media, we pulled together an informal Third Tuesday meetup. About a dozen Calgarians interested in social media turned out for an enjoyable evening of discussion. 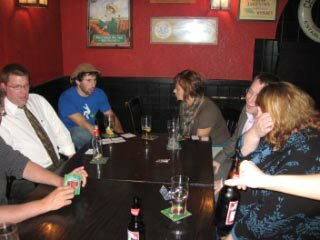 Now, the group has decided to move forward on their own to establish monthly Third Tuesday Calgary meetups. The first formal Third Tuesday Calgary will feature a presentation by Jacob George, the City of Calgary‘s Manager of Corporate Marketing and Communication. I saw Jacob talk about the City of Calgary’s social media activities at the Canadian Institute Conference and I was impressed with how progressive their approach is. This first formal Third Tuesday Calgary session will begin with a presentation by Jacob at the City of Calgary Municipal Building, following which the Third Tuesdayers will move to a pub for an evening of discussion and making new friends. So, if you’re in or near Calgary, join Third Tuesday Calgary on meetup.com to be informed of each meetup when it’s scheduled. We also have a Third Tuesday FriendFeed room that you can join if you’d like to suggest future speakers or volunteer to help organize an upcoming event near you. Once again, as in other cities, the good folks at CNW Group have stepped up to make this possible. In the case of Calgary, CNW’s Doug Lacombe first suggested this group last summer and now Sheldon Bailey has taken on the key organizers role. Thank you Doug and Sheldon for your community spirit. I hope I’ll be able to join you at a session in February when I am visiting Banff. 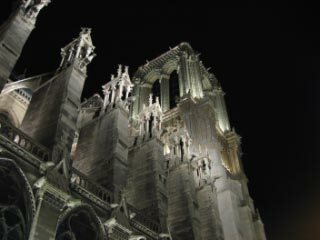 Paris has been unbelievably beautiful. Five days of glorious weather. Didn’t get hit by any cars. (How do they manage to drive that way?!?) Tired, tired feet. Many happy memories. But, vacation’s over. I’m starting the trek home to Canada. Should be there sometime tonight. What is the most you have paid for Internet access in a hotel? What is the most that you have ever paid for Internet access in a hotel? I thought I’d seen everything. But this week, I stayed in the Westin Paris and I realized that gouging customers could be taken to a whole new level. 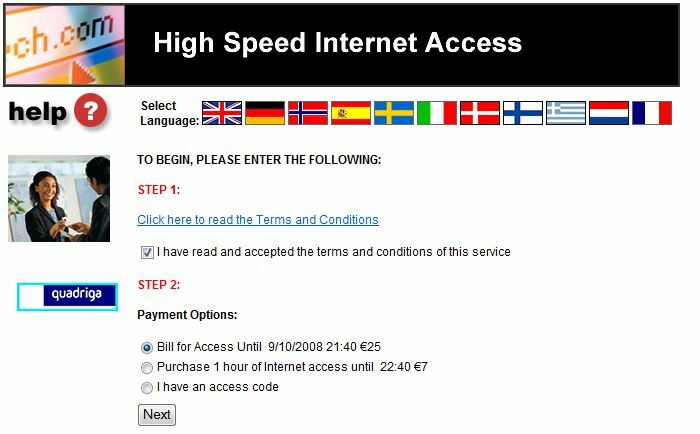 First, Internet in my room costs 7 Euros for one hour or 25 Euros for 24 hours. That’s Canadian $10.74 per hour or $38.50 per day. In U.S. dollars it’s $9.59 per hour or $34.25 per day. But wait. Read on. There’s more! You’d think that buying Internet access in your room for $38.50 would get you access to the WiFi if you are sitting in the hotel lobby or buying a bit of lunch in the bar. But you’d be wrong. If you shell out $38.50 for Internet in your room and then try to log on to the WiFi in the hotel lobby, you’ll discover that WiFi costs extra. Not a little bit extra, but 12 Euros for one hour or 39 Euros for 24 hours extra. That’s Canadian $18.48 per hour or $60.06 per day. In U.S. dollars, it’s $16.44 per hour or 53.43 per day. Wow. Let me say that again. WOW! Read on. 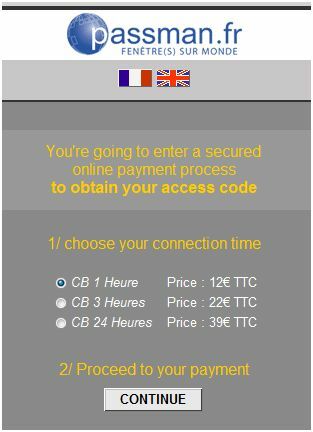 If you add up both the in-room charge and the WiFi charge, you can pay Canadian $98.56 per day (U.S. $87.68) for Internet access at the Westin Paris. That seems to me to be an excessive charge. In fact, I’d call it gouging. How about you? What do you think? Is this too much? What is the most you have ever paid for Internet access in a hotel?